Words With Friends 2 Debuts Tile Styles, the Game’s First Ever Customizable Game-Board Feature | Zynga Inc.
SAN FRANCISCO--(BUSINESS WIRE)--Sep. 27, 2018-- Today, Zynga Inc. (Nasdaq: ZNGA), a leading social game developer, announced the launch of Tile Styles, the first ever customizable game-board feature introduced to the forever franchise and #1 mobile word game, Words With Friends 2. Tile Styles allows players to personalize their game by swapping out the iconic yellow word tiles with a collection of vibrant solid colors and captivating patterns. In honor of National Breast Cancer Awareness month beginning October 1st, Words With Friends 2 has partnered with Susan G. Komen to help launch the new Tile Styles feature with an exclusive Pink Ribbon Tile. The special Pink Ribbon Tiles will be available to players in October at the start of National Breast Cancer Awareness month. 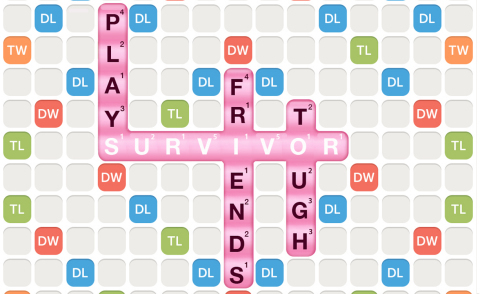 Words With Friends 2 will also host a #PlayPinkForTheCure in-game event from October 1-21 challenging players to play 6 million Pink Ribbon Tiles.From October 1, 2018 to October 1, 2019, Zynga has committed to donating to Susan G. Komen a minimum of $75,000 and up to $100,000 if players reach the goal of playing 6 million Pink Ribbon Tiles by October 21, 2018, truly highlighting their belief in the #PowerofWords. Susan G. Komen is the world’s largest breast cancer organization, funding more breast cancer research than any other nonprofit outside of the federal government while providing real-time help to those facing the disease. Komen has set a Bold Goal to reduce the current number of breast cancer deaths by 50 percent in the U.S. by 2026. Since its founding in 1982, Komen has funded more than $988 million in research and provided more than $2.2 billion in funding to screening, education, treatment and psychosocial support programs, serving millions of people in 60 countries worldwide. Komen was founded by Nancy G. Brinker, who promised her sister, Susan G. Komen, that she would end the disease that claimed Suzy’s life. That promise has become Komen’s promise to all people facing breast cancer. Visit komen.org or call 1-877 GO KOMEN. Connect with us on social at ww5.komen.org/social.